I'm trying to get an nrf24l01 radio to work on my Orange Pi One but have not been successful. I'll document what I've done here. If you spot an error, please let me know. Start with fresh Armbian_5.20_Orangepione_Debian_jessie_3.4.112 image. Then apt-date update and apt-get upgrade. I'm certain I'm making a fundamental error but I cannot see it yet. The initial details printed by the program make me think it's found the radio and can interact, but it stays in a sending...failed loop until stopped. Please try reducing the transmit power - these modules are known for instability with insufficient power supply or relatively long power cables when using HIGH or MAX power levels. Soldering a ceramic 0.1uF capacitor or a tantalum capacitor directly to module pins (on top) may help too. Great ideas. I'll try that tonight and report to the forum the results. I added a 0.1uF cap across VCC and GND on the top of the nrf24l01. I also added code to lower the transmit power right after radio.begin. I've attached a picture of the soldered cap across VCC and GNC on top of the nrf24l01. I know ... I was a liberal arts major and have been working to improve my soldering skills bit by bit but I have a lot of room for improvement. What is your second nRF24L01 connected too? Another Orange Pi One or something different? Do register dumps look similar (apart from addresses)? I have two identical setups, both on my desk. I'm not sure what you mean by registers dumps, but in case that data is included in the details printed by gettingstarted I've included that information below. As you can see, RX_ADDR and TX_ADDR pairs are different. You need to make sure that RX_ADDR (RX_ADDR_P0-1)on one device matches TX_ADDR on the other device and the other way around. Edit: 0x65646f4e32 is "2Node", 0xe7e7e7e7e7 and 0xc2c2c2c2c2 don't look right unless you changed default strings to byte arrays, but it may indicate hardware issues like power supply problem or software issues like different library version. I'd like to pretend the following didn't happen, but it's important to admit when responsible for dumb things. You hit it on the mark. I didn't make the radio number unique. Changed the following value for each radio, and now they communicate like champs. Thank you for your help. I'm completely new to the RF24 world so I've spent a lot of time messing around. I hope to make a network of sensors and wanted to use my orange pi one as the gateway. And this was the first step. I face with a problem using OrangePi Zero. There is no gpio22 as well as IO-7, so I can not use "RF24 radio(7,0)". 2. What are these pins? Are they simply phisical numbers of H2+ processor? Or they are GPIO pins? But there is no problems with nrf24l01, its pins and so on. There are problems with Orange Pi Zero. In RF24 libruary there is function radio(ce_pin, csn_pin). The arguments are pins. That does not mean that GPIO.7 is CE-pin and not GPIO.0 is CSN-pin. Actually, "0" means CE0-pin on Orange Pi Zero. Here is the problem. I don't kow what to write instead of "7". What I know is that arguments are not GPIO names of pins and not H2+ numbers of pins. So, what are they? RF24 HARDWARE FAIL: Radio not responding, verify pin connections, wiring, etc. 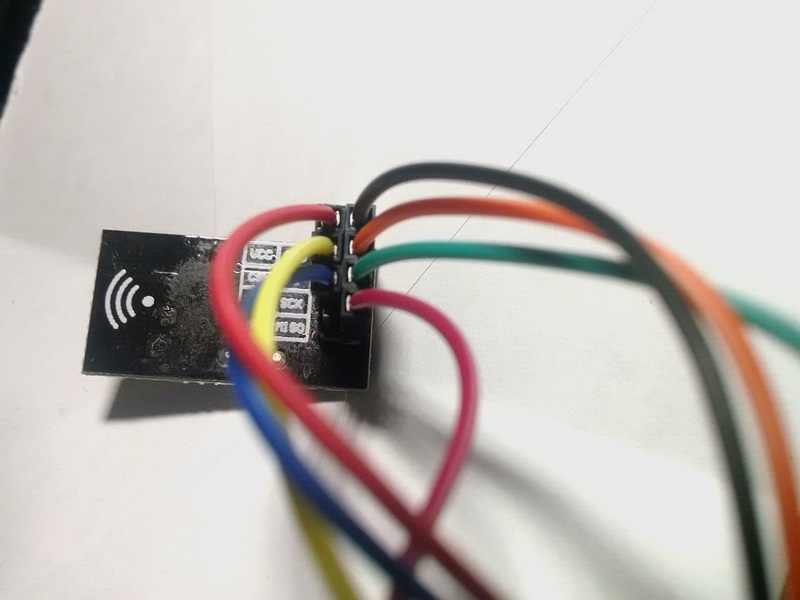 As I understood, all the addresses can not be known because of wrong connection with NRF24L01+. I definitely have no idea how to fix it. 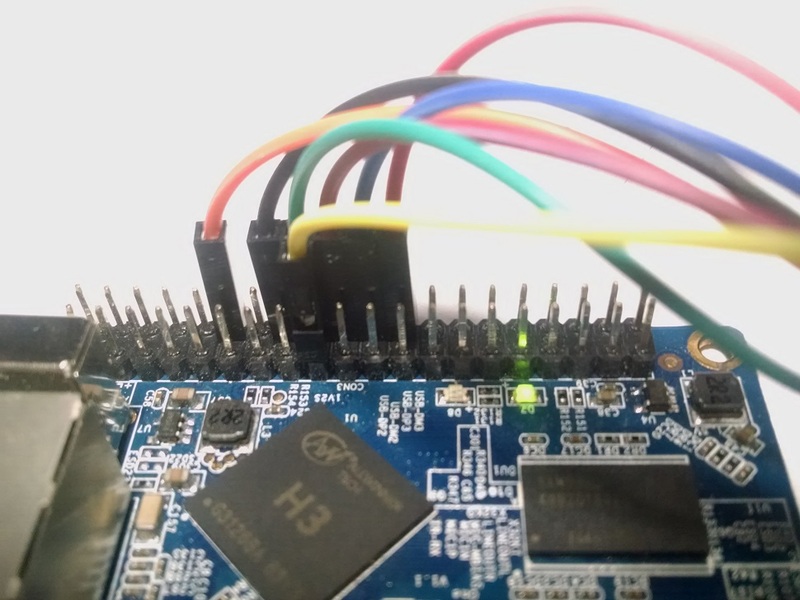 RF24 library uses SPI bus 0 by default (/dev/spidev0.0). On Orange Pi Zero it needs to use the bus 1 (/dev/spidev1.0). I think the MySensors library comes also from this one basically. They made it quite easy to set up an nrf24... I left finally cause on arduinos node side they used outdated libraries which messed up with my other projects. I think it wouldn't be such a problem to separate arduinos libs, and get it running but my interests in nrf24 driven nodes is somehow limited.